Venezuela: What has happened in this week? It is not a secret that the current situation in Venezuela is becoming more turbulent every day. The arrival of two presidents who claim the sovereignty of the country, international support for one of them, the rejection of humanitarian aid by the other, and the possibility of being abandoned by one of its main allies supporting the regime was what happened this week in this country. 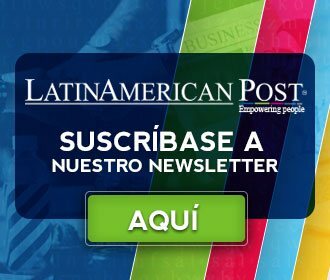 Leer en español: Venezuela: ¿Qué ha pasado en la última semana? Since last Monday, Spain, Germany, France, the United Kingdom, Sweden, Denmark and Austria recognized Juan Guaidó as interim president of Venezuela. In the same way, and according to the notice given by the European Union, Nicolás Maduro had a week, a deadline that has already been met, to call elections. After the deadline, the countries made the order to call presidential elections. In an interview for the station France Inter and with information from Infobae , the French Foreign Minister, Jean-Yves Le Drian, said that "we consider that today the president of the National Assembly, Juan Guaidó, whose legitimacy is perfectly recognized, is enabled to call presidential elections . " Faced with the above, Maduro remained and, in an interview for the newspaper La Sexta, said he would not give the arm to twist "for cowardice in the face of pressure." On the other hand, Guaidó thanked the recognition and asked the European Union for "humanitarian aid and the protection of Venezuelan assets (...) to financially corner Maduro", according to Infobae . This group, created by the European Union and made up of representatives from different European and Latin American countries and who met last Thursday in Montevideo, Uruguay, has as its objective "the holding of new elections with all the guarantees of a free and fair electoral process , supervised by independent international observers ", as stated by El Espectador . Thus, at the meeting it was established that it was essential to " restore democracy in all its dimensions and talk with all parties so that humanitarian aid reaches Venezuela, " as Uruguayan Foreign Minister Rodolfo Nin Novoa said in a news conference. With the acceptance that in Venezuela it is necessary to hold elections, Uruguay has made a change in terms of solving the conflicts in that country. In the same way, he argued that in Uruguay's position there was no contradiction and that Juan Guaidó is as illegitimate as Nicolás Maduro. On the other hand, the decision of the Contact Group "is a setback for Maduro, who is still clinging to power", as stated by El Espectador . As part of a solution to address the humanitarian crisis in Venezuela, several trucks loaded with basic foodstuffs and necessary products that are scarce in the country reached Cúcuta, a Colombian city bordering Venezuela. About a dozen trucks expect to enter the country, because Maduro banned the entry of these vehicles as a measure of rejection. Therefore, they blocked one of the three bridges connecting Venezuela and Colombia with a tanker and two containers, arguing that their country "is not a country of beggars . " The other two bridges do not allow vehicular traffic since 2015, as stated by Todo Noticias . The humanitarian aid, requested by Guaidó, intends to bring in food and medicines necessary for Venezuelans to be covered in their basic food basket. On the other hand, one of the main arguments so that aid does not enter is that it comes from the United States. Thus, according to Maduro, to allow entry, would be the beginning of a military invasion by that country. The entry of aid is key not only for the population but also for the military, who are also dying of hunger, according to statements made by Craig Faller, commander of the US Army in Latin America. According to a Bloomberg report, Russia has doubts that the government of Nicolás Maduro can survive a change originated by the opposition. Although Moscow has not renounced its public support of Maduro, it increasingly recognizes that the disastrous state of Venezuela's economy is running out of what remains of its public support. Similarly, the country is aware of the few levers available to rescue a client who has too many financial difficulties, even for the Kremlin to rescue him, and it is too far away for Russia to deploy an important military force to shore it up. Evidence of the above is the denial of a new loan requested by Venezuela. If one of its most strategic allies fails to support Maduro, the Chavez regime would have no way of putting up with the international pressure that is growing every day. Translated from "Venezuela: ¿Qué ha pasado en la última semana?"